Did you ever wonder what gives each cannabis strain it’s own unique flavor? From earthy to citrus, to fruity smelling strains, it’s the plant’s terpenes that are responsible for the aromatic qualities. Terpenes can be found on every plant on Earth. With over 20,000 in existence, there are about 100 produced by the cannabis plant. These essential oils are found in the plant’s trichome glands — the tiny crystals that blanket the plants surface. This is where other cannabinoids such as THC and CBD are also produced. Terpenes are a combination of hydrogen and oxygen and differ from “terpenoids” which result after the plant has been dried and cured. Terpenes can be sweet, sour, spicy, or bitter and are further broken down into an array of aromas and flavors including citrus, berry, mint, pine, and more. Terpenes do more than just delight our senses or offer a layer of protection to the cannabis plant, they most importantly affect the unique feeling that comes from each strain. We are all familiar with the effects of THC and CBD but just how do terpenes affect the consumer’s high? Two strains may be similar in their cannabinoid structures but if their terpene structures are different, the psychoactive effect will differ as well. Several studies have shown that terpenes can help other cannabinoids pass more easily through the bloodstream influencing a quick onset of psychoactive effects. Terpenes can intensify, dull, or change the effects and duration of the strains, this is what is referred to as the “entourage effect” — terpenes working synergistically with other compounds to create a greater effect together than they could accomplish separately. Terpenes working together with other cannabinoids can likely result in a more intense effect but they can also counterbalance one another resulting in a decreased effect. Terpenes can allow for strains to have more anti-anxiety, more anti-inflammatory, or more anti-depressant effects than another. 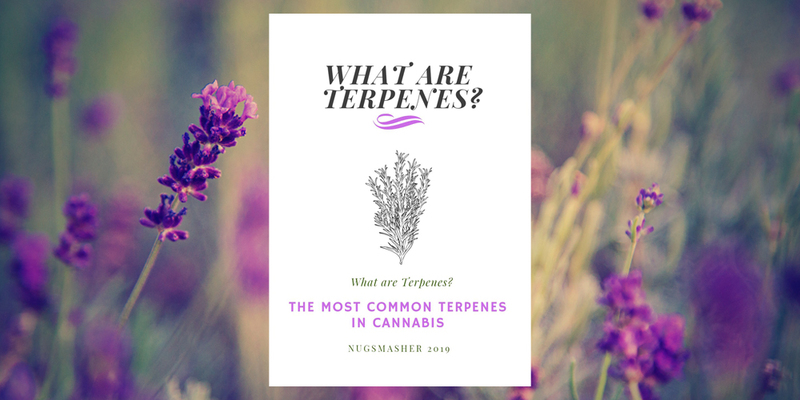 Most of the studies that have been done about cannabis effects are on cannabinoids THC and CBD but as more information about terpenes surfaces, cannabis producers are starting to take advantage and are creating “super strains” based on desired terpenes. While some consumers opt for isolates stripped of terpenes, many connoisseurs want to preserve them at all costs! Pressing rosin is one of the best methods to do so. Using a rosin press will produce a high terpene yield in your product. Terpenes are sensitive to heat, each having its own boiling point. Paying close attention to temperature is essential when preserving desired terpenes and producing the best yield. Our Nugsmasher Touch is our favorite press to make sure we have full control to result in a totally flavor packed product. 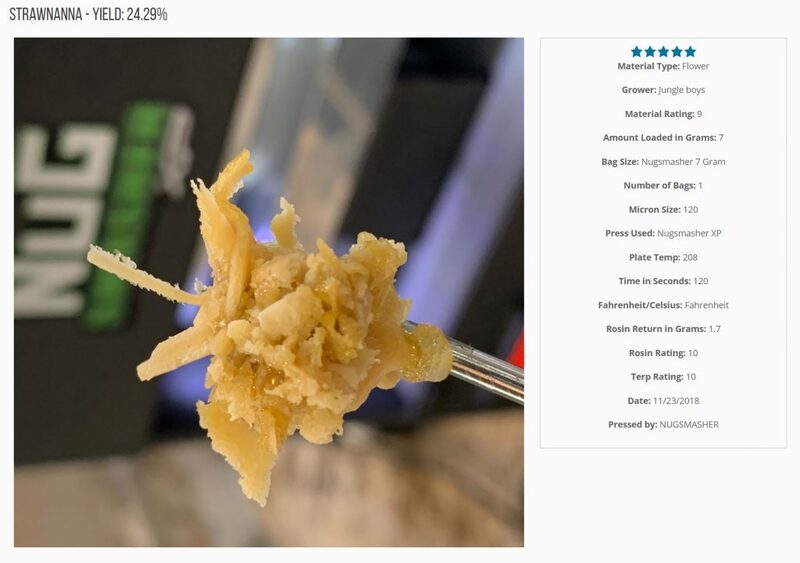 If you visit our rosin database TerpFile, you can reference detailed extractions and compare your techniques with other passionate pressers to find the best yields. Each entry is complete with the material, temperature, and pressure details along with terpene and rosin ratings. Access TerpFile by visiting Nugsmasher.com and clicking on “TerpFile Rosin Data” underneath the tools tab. One of our favorite products to isolate in our Nugsmasher rosin presses is THCA. THCA isolate can quite possibly produce the purest and the most potent high. The only downside about to it is that it has been stripped of its terpenes during the isolation process. Adding terpenes back in can create a totally personalized high with its own unique flavor. Individual or custom blends of terpenes can be bought in liquid form. There are a variety of blends for different desired effects — focus blends, energy blends, calming blends, and more. Terpenes can be added to just about any form of cannabis including flower, rosin, edibles, distillate, and oil. They can be added to contradict a strain’s traditional effect to produce a more hybrid one — this sometimes occurs naturally. For example, it is possible that a sativa-dominant strain may have a high amount of terpenes linalool or caryophyllene. These terpenes produce a calming effect which in turn could result in a more sedative feeling when compared to sativa’s traditionally uplifting effects. There are over 100 terpenes found in cannabis but there are only a handful of dominant ones worthy to mention. Making up the majority of the aromatic oils is the most abundant terpene in cannabis, myrcene. High levels of myrcene are found in indica strains and are said to be the reason for the “couch-lock” feeling and sedative effects. This makes it ideal to treat insomnia and pain but myrcene is also known to have other healing qualities including anti-inflammatory and anti-bacterial properties. Myrcene lowers the resistance across the blood to brain barrier and is the reason other cannabinoids can enter quicker and more easily. Mangos are also known to be rich in myrcene — so there’s truth to the urban myth that eating a mango before cannabis consumption can result in a longer lasting and more potent high. Caryophyllene has a spicy aroma and is commonly found in herbs such as black pepper, Thai basils, cloves, and cinnamon leaves. This terpene is anti-fungal, anti-inflammatory, and analgesic. It is said to relieve pain and symptoms of anxiety and depression. In a study conducted on C. elegans, when worms were introduced to caryophyllene, their stress levels had been reduced so greatly that it increased their lifespan. Humulene, also know as alpha-caryophyllene has been used for centuries in Chinese medicine. It acts as an appetite suppressant and has anti-inflammatory, and antibacterial properties. Humulene is the main terpene found in hops and is responsible for beers distinct flavor and aroma. Like myrcene, linalool has sedative properties. Linalool is often combined with essential oils and used in aromatherapy for its noticeable calming effect. It’s used to treat nervousness, anxiety, and can even lessen THC-provoked anxiety. Although Linalool is used in most perfumed products due to its pleasant scent, it also has it’s healing properties. Studies have shown it to have analgesic, anti-epileptic, and anti-inflammatory properties. Linalool is now being studied in cancer research because studies have shown the terpene to help cancerous tumors become more receptive to drugs. Pinene is the most common terpene in the world and unsurprisingly, it’s scent resembles pine and fir trees. Claimed as an effective study aid, it is known to boost concentration and positively affect memory. Its therapeutic effects include antibacterial, anti-inflammatory, antiproliferative, and anti-oxidant properties. While myrcene can intensify your high, pinene has an inhibiting effect. 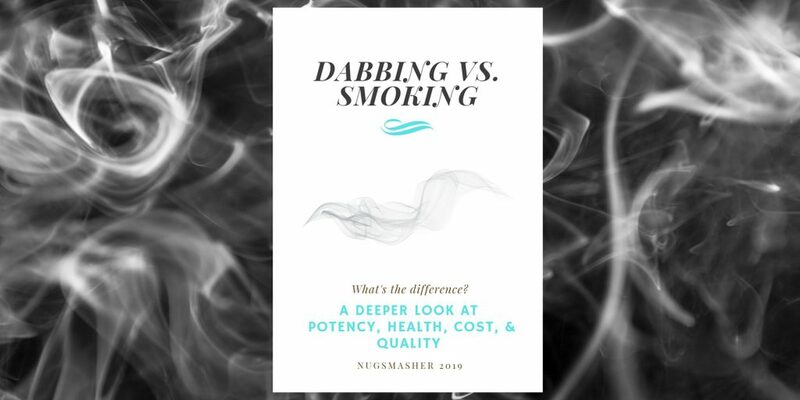 While many people may want to avoid that, it proves useful for patients who desire the healing qualities of whole-plant consumption versus a CBD isolate. Following myrcene, limonene is the second most common terpene in cannabis. As its name implies, this terpene is known for its strong citrus scent and can be found in lemon, oranges, limes, and other citrus fruit. Limonene is known to be stress relieving, mood enhancing, and able to assist with depression, and anxiety. It is most likely found in your favorite cleaning products not only because of its citrusy scent but it’s strong anti-fungal and anti-bacterial properties. Limonene easily enters the blood-brain barrier and enhances the body’s ability to absorb other terpenes.